Tim Burton’s new movie Big Eyes comes with a twist – it doesn’t feature a dead thing, a gnarly tree or Johnny Depp. That happens to be the only twist, and the true story plays out exactly as spelled out in the trailer. 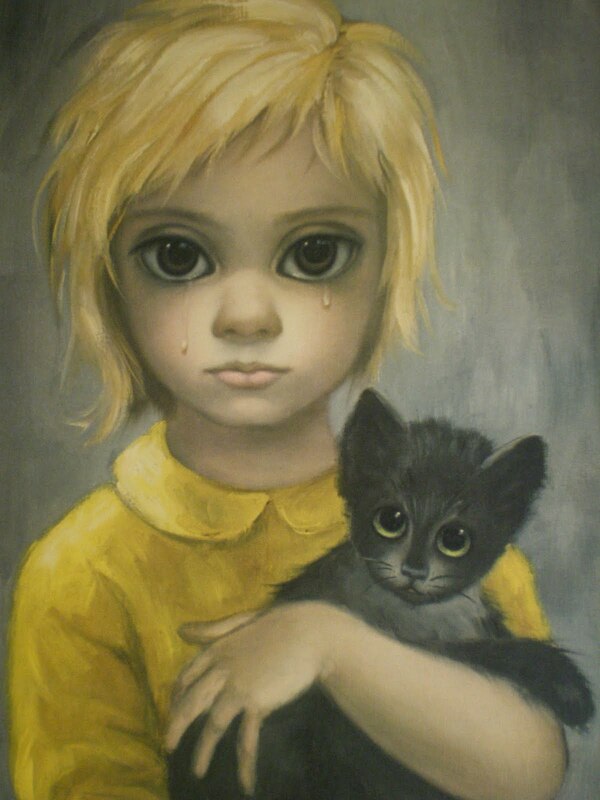 Margaret Keane (Amy Adams), the artist known for her horrible paintings of saucer-eyed children, marries a fraudster named Walter (Christoph Waltz), who takes credit for every single creepy painting. Apparently Keane’s paintings were hugely popular in the 1950s, but like the contemporary band of the same name, their popularity is completely baffling. To quote Jason Schwartzman’s character: “Who would want credit?” The pictures are tacky, gaudy and empty – and so is this film. Perhaps Burton sympathises with a woman ridiculed for churning out the same stylised tripe again and again, and it’s not surprising to learn that he owns a collection of Keane’s work – the man clearly has no taste, as evidenced by his friendship with David Cameron. In fairness to the actors, Adams and Waltz are both on form – even though he’s beginning to sound disconcertingly like another famous Austrian actor. But thanks to Scott Alexander and Larry Karaszewski’s (big) eye-rollingly obvious screenplay, you can smell Walter’s fraudulence from as far as Hawaii, where Margaret ends up without explanation. Which begs the question of how she could be so stupid as to marry him in the first place. And by the time we get to a climax that literally involves watching paint dry, it’s impossible to even pretend to care. Big Eyes is the uninspired work of a tasteless idiot. Stupid scene follows stupid, garish scene, with nothing remotely funny or involving to keep our big eyes open. When our awful protagonists discover a review of Keane’s awful artwork, two words stand out to everyone with the apparent exception of Burton himself: tasteless hack. Big Eyes is a big waste of time. It’s as tedious, glossy and shallow as Keane’s paintings – and it got in there just in time to become my worst film of the year. I hate it. Disclaimer: This review was actually written by Amy Adams and I took credit the entire time.